Enjoy these delicious Italian pasta Ripiena's at 95 Keerom this June! Pasta is our go-to meal because it literally is comfort on a plate and we were lucky to be invited to enjoy a special menu prepared by Italian Chef Giorgio Nava featuring his pasta ripiena favourites. Heading over to the popular establishment belonging to the World Pasta Champion at 95 Keerom, I was a bit anxious as to how much pasta I could truly consume in a day, but as we all know, you can never have too much pasta! We were also lucky to be served starter portions, although some dishes I would've loved more of! 95 Keerom, known for its incredible service and the authentic Italian dishes that come out of its kitchen, has long been one of the trendiest restaurants in Cape Town. Chef Giorgio runs four restaurants in the Cape Town CBD but you would never tell, as he appears to balance all of them so effortlessly. This personalised menu consists of all Chef Nava’s favourite selection of classical Italian filled plates of pasta and true to word - Chef Giorgio kept it simple but perfect. 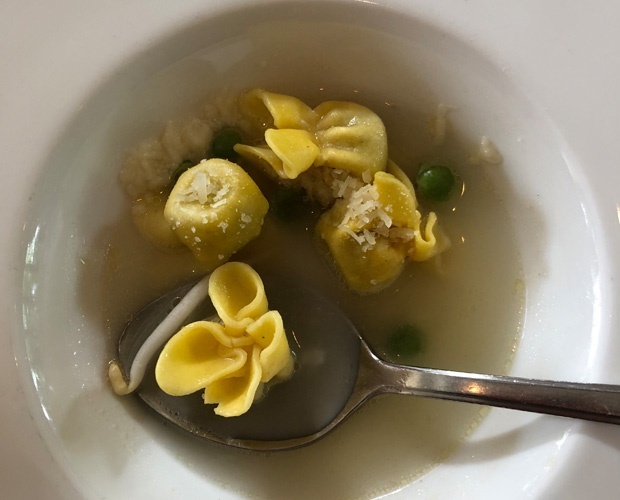 Our first serving had arrived and we were greeted with delicious aromas of cheese, this was Fagottini al gorgozola in brodo which basically is filled pasta with blue cheese in broth. It tasted absolutely heavenly! 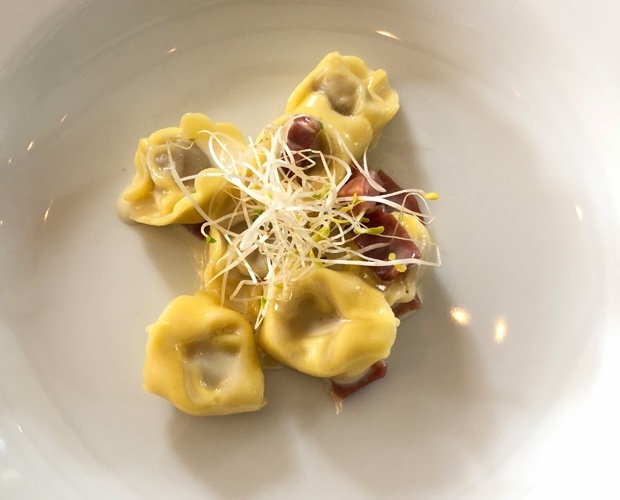 Just as we were getting over how lovely the fagottini tasted, we were served Tortellini di prosciutto curdo alla panna which is Parma ham tortellini filled with cream, diced parma ham and 24 month grana padano. This was definitely everyone's favourite as the ham was lightly peppered with a delicious slightly salty flavour and went down perfectly with a glass of Merlot. Winter and butternut go together like Winter and soup, so it was a pleasant surprise to see that Chef Giorgio incorporated butternut in his raviolli dish. Ravioli di spinaci o zucca, loosely translated to: spinach or butternut ravioli with ricotta topped with sage butter and Parmesan. 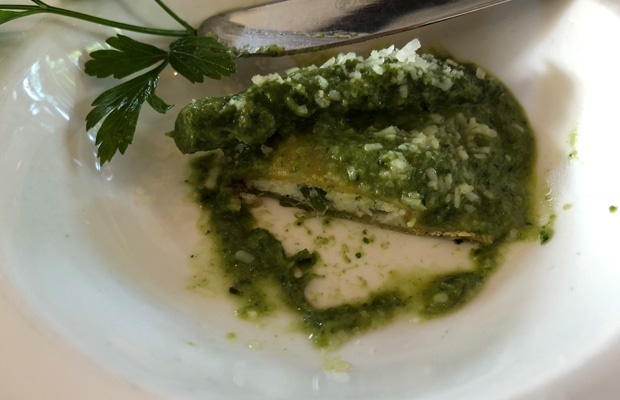 Both the spinach and butternut were to die for and we would really love to know how Chef Giogio got his ravioli so velvety! 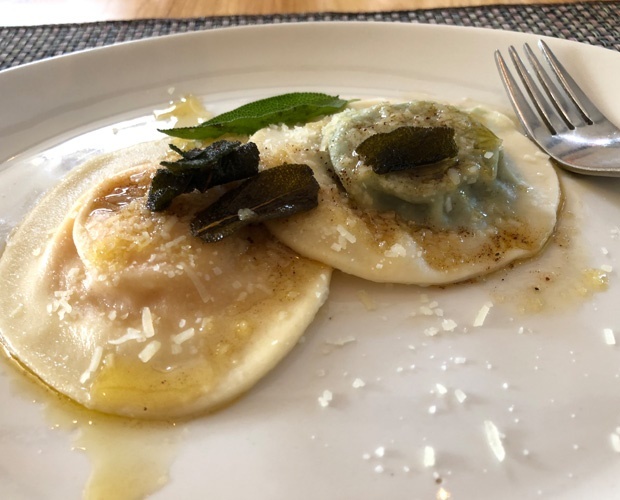 Between talks of politics and traffic fines, the fourth pasta dish arrived, a bed of Tortelli con asparagi e spinaci - better known as tortelli with a topping of spinach and asparagus. The crisp asparagus tasted lovely against the soft creamy tortelli. And for dessert? 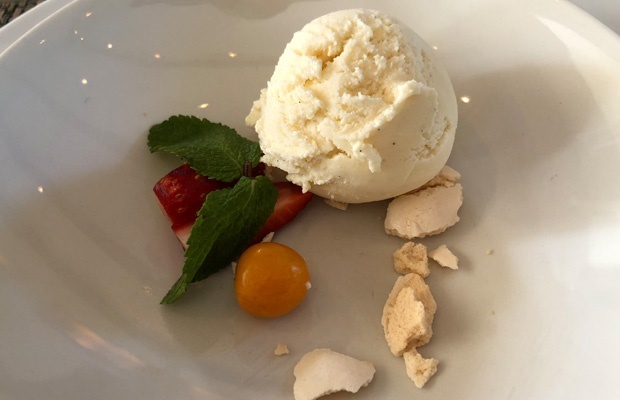 Well, we were treated to a delicious scoop of in-house made vanilla pod ice-cream with bits of macaron, gooseberry and strawberry! This ripeina menu will be available only for the month of June and every dish is R120 for main course portions! 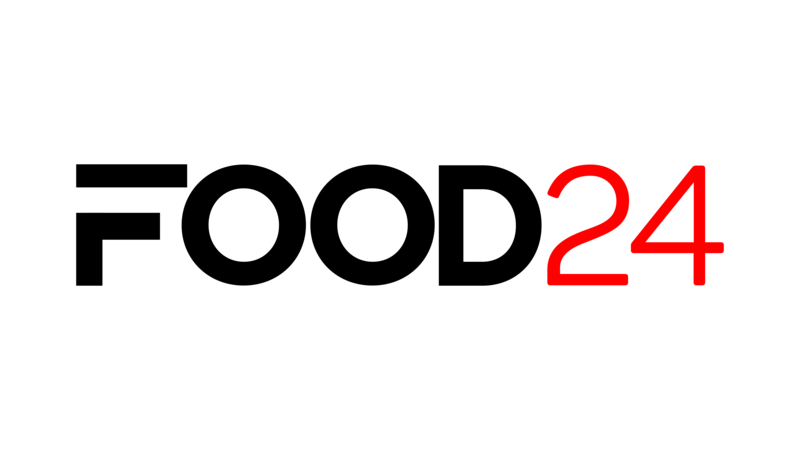 Make sure you don’t miss it as it features an amazing selection of the finest pasta dishes you will ever taste.